Regain balance in your life by getting back to nature and reconnecting with your loved ones. 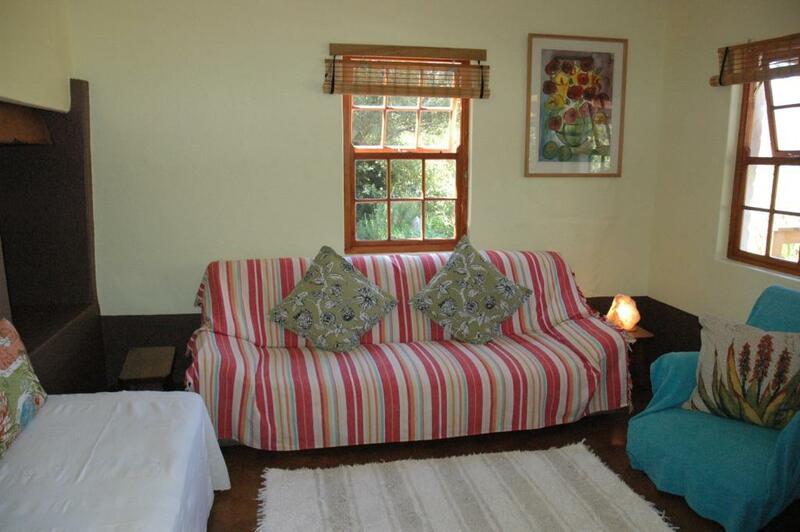 Dew Cottage is a charming, rustic retreat, situated on a working organic farm where you can relax and unwind in comfort whilst enjoying the beautiful mountain environment. The private, renovated farm cottage is self-catering and sleeps four to five people. 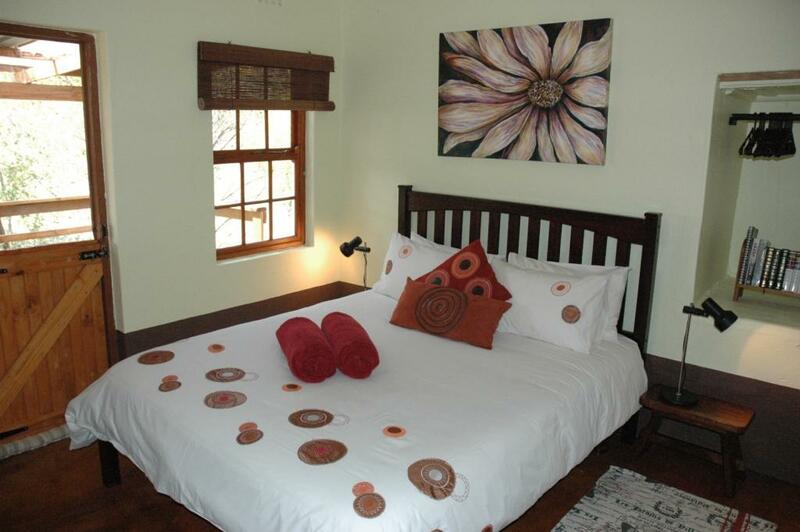 A fully equipped kitchen with fridge and stove, as well as heaters and a fan provide for your comfort. All linen, duvets, blankets and towels are provided too. Enjoy romantic meals outside on the wooden deck with stunning views of the mountains and farmlands, or snuggle up indoors in front of the cosy fireplace. Laze in the hammock watching birds and listening to the frogs singing in the seasonal stream - a great place for children to explore. There is a braai and firepit in the garden where you can lose yourself under the stars. 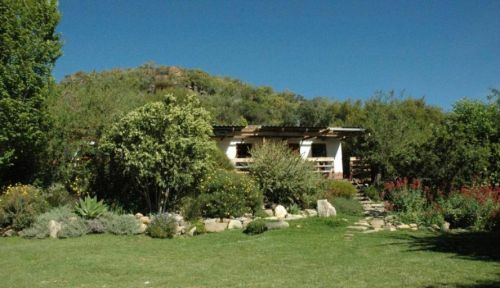 Situated on the little farm called Vredenshoogte, which means Peaceful Heights, or as a friend once put it - The Height of Peace. 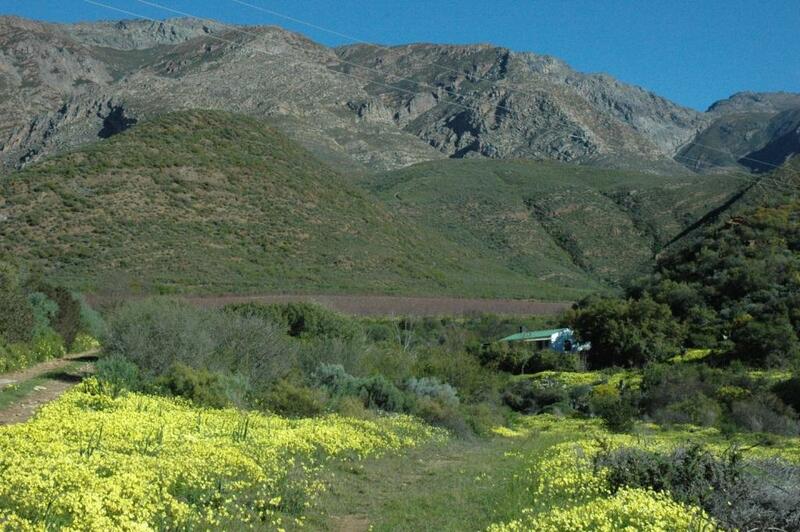 We are on the "Fruit Route" in the Keisie Valley, 25km outside of Montagu, at the foot of the Burgers Pass. There are lovely walks with stunning views and mountain biking routes. Seasonal fruit, almonds, herbs and vegetables are available for sale and there is a variety to taste from the "Dew Delights" range. We make all sorts of delicious jams, jellies, chutneys and conserves from our produce. Being nestled at the foot of the Langeberg Mountain range we often have snow-covered peaks in winter - a veritable winter wonderland. Spring flowers abound and the fruit trees are a picture in bloom. In summer one can experience the abundance of nature as the trees lay heavy with apricots, peaches and almonds. The vines are harvested in late summer and wine is made locally as well as the famous Montagu Muscadel.